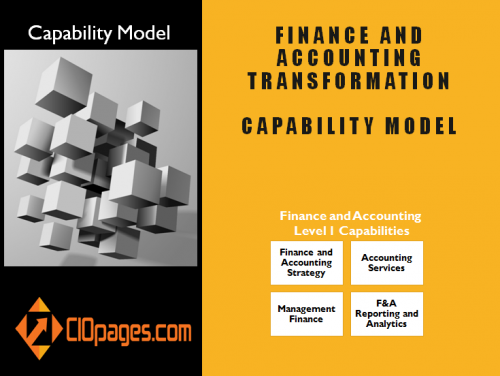 What is a Capability Model? 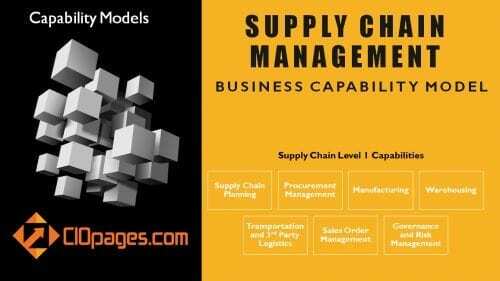 A Capability Model or a Business Capabilities Model is an integrated and comprehensive set of business capabilities. The capability model is a decomposition of what a business does and can do in a logical and granular grouping. A business capability model is one of the critical business architecture deliverables and a bridge between business and IT, and a foundation for enterprise transformation. However, if you are looking for a “Competency Model” – which is about soft skills or competencies, or a “Capability Maturity Model (CMM)” – which is a way to measure the maturity of the processes, those are distinct and different from a capability model in the business architecture realm. 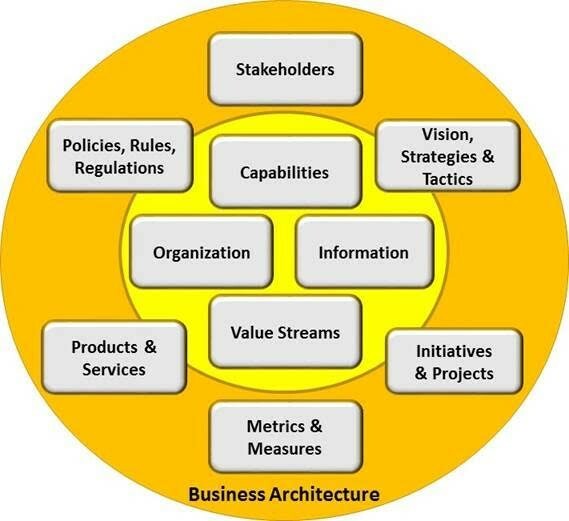 Business architects and enterprise architects build business capability models as a part of the overall business architecture and enterprise architecture mandate. 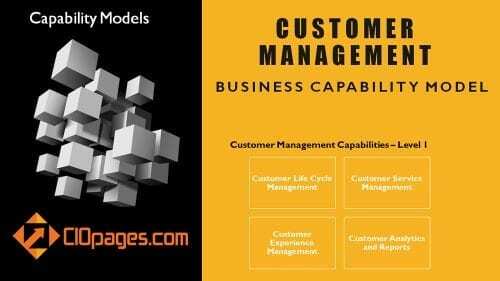 A capability model is an integral part of the business architecture deliverables and is a significant component of BizBok (Business Architecture Book of Knowledge). A capability model is an essential part of the TOGAF framework (The Open Group Architecture Framework). So, that begs the question: What is a Business Capability? A business capability is an elemental building block (or a Lego block) of what a business does or can do. At its core, it is an abstraction of the underlying functionality and flows expressed as a noun form (some business architects use Gerunds as well, but we are not the grammar police.) An agglomeration of a cluster of underlying business capabilities can manifest a product, a service, a platform, a business unit, a department, and of course, an enterprise. A “Process” is not a capability. It describes a “How” or a flow of how something is done. A “Value Stream” is not a process, but an end to end flow involving a stakeholder or an activity. An organizational chart is not a capability model. Why is a Capability Model Framework a swiss army knife in the enterprise toolkit? Hence, if a company is keen on assessing their CRM capabilities and then decide on whether to replace or re-platform the CRM capabilities, the detailed composition of the CRM capabilities will come in handy. In particular to a) assess the current state b) envision future state capabilities c) conduct gap analysis d) define a transformation roadmap e) conduct a vendor analysis of competing CRM platforms. How do we build a Capability Model? We believe there are two viable approaches to building a capability model. A cross-functional team of experts gathers together to define a capability model. 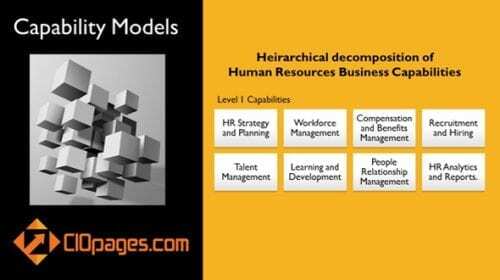 Typically, the capability modeling team will comprise of business architects, enterprise architects, process owners, product owners, functional specialists from areas like Human Resources, Finance and Accounting, Marketing and Sales, Operations et al. Through a series of facilitated workshops – and countless hours in meeting rooms, gallons of caffeine, and innumerable arguments – the team comes up with a capability model. We’ve seen this process take months or in some large companies around 18-24 months. The advantage of creating a capability model from scratch is that it is home-grown and the process will be cathartic, and given the many rounds of consensus building, the business capabilities have a chance of getting used in real use cases across the enterprise. As you can guess, we are not fans of this approach, and we have seen the time, energy, effort, and friction is not commensurate with the results. A sample business capability model template helps accelerates capability mapping efforts by reducing the time, energy, and cost. 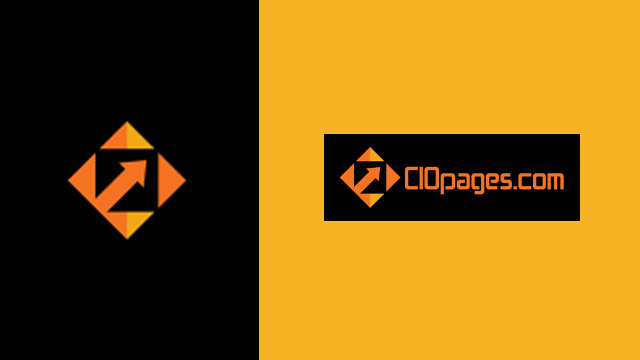 We may be biased as CIOPages.com sells full-fledged business capability frameworks in functional areas as well as for various industries, but we are fans of a business capability model template approach wherein you retain, refine, reinforce, and are ready to go. A sample/straw model-centric approach minimizes the effort, cuts down the time to completion, reduces friction, and allows the teams to focus on the 20% that may be important to the enterprise, rather than get bogged down by the 80% minutiae and peripheral capabilities that may not matter much. 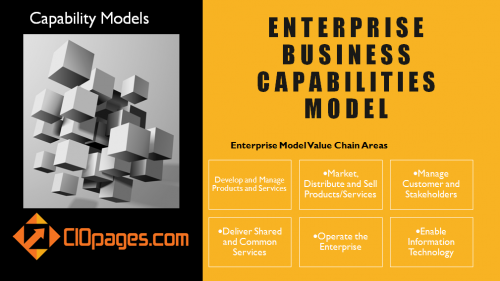 Of course, you are under no obligation to buy our pre-built and customizable business capability models — instead, a few select groups of experts (perhaps with representation from business architecture, enterprise architecture, and a few business/IT leader who are familiar with the paradigm of business capability mapping to come together and create a draft business capability map. Seeing something in front of them helps the rest of the team members to participate effectively and contribute to the evolution of the capability model to what the enterprise needs. The capability model validation sessions will be more productive and fun (is fun the right word in an enterprise context?). There are also sample capability models from Gartner or Forrester, even though you may want to examine the granularity of the models. Where do we start to build a capability model? Obviously, if you are not interested in starting with a sample or reference capability model – whether it is purchased from a vendor or an internal draft model developed by a small group of experts – and instead insist on building from scratch, here are a few starting pointers. Begin with a value chain: A value chain (of Michael Porter fame) is a classic and well-respected framework which the top leadership is typically familiar. So, starting with a company value chain will be a great starting point. A sample set of primary capabilities for a Pharmaceutical company. And there will be a lot of support capabilities that fill out the value chain. Then you can decompose the value chain level capabilities into granular entities to create a holistic and integrated business capabilities map. We think that if we consider business capabilities to be Lego blocks or atomic building blocks, then the logical interpretation of that principle is to decompose to a deeper level of granularity. We think capability models that stop at Level 1 are nothing but wall art – an excellent summation of “Oh! That’s what we do.” If the model were to comprise of capabilities at Level 1, and Level 2, then we consider that a strategic picture and an executive level deliverable to have interesting conversations. A capability map with up to Levels 3, 4, and 5 (as necessary) contains a lot of the execution detail which will be extremely valuable in operations optimization, transformation roadmap development, and IT enablement. While one can start with Level 1 and 2 for gaining executive level support, we urge business architecture teams to forge ahead and decompose to a logical level of granularity for increasing the value-add from the capability mapping endeavors. Is a capability model one and done? Business capabilities, while more stable and long-term, do evolve, morph, or newly emerging. So, a capability model is never done. It is continually changing and evolving. Even if the capability itself doesn’t change, the underlying maturity which a company wants to foster, or the way the capability is realized changes. Hence, business architects and other stewards of business capabilities maps should continuously strive to update and upgrade the artifact. Also, period re-assessments of capabilities – regarding the strategic importance, the level of maturity, and the desired target state – is an essential exercise. What tools should we use to create and manage a capability model? A capability model is a dynamic and living entity, and hence static tools to create and manage capabilities are not appropriate. Therefore, general purpose office productivity software doesn’t stand muster. Using one of the many available capability modeling software tools is the way to go. For executive consumption using data visualization tools – such as Tableau or Domo or equivalent – may help as well. Also, Excel for advanced data manipulations and PowerPoint for executive presentations may be acceptable. But the day-to-day management of capabilities should be within a specialized software. After building a Business Capability Model: What comes next after creating a capability map? Align backlog and future needs to capabilities. 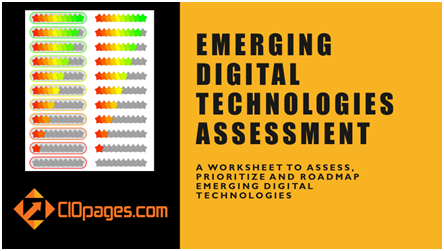 Use capabilities to develop functional level or business unit level or enterprise level transformation roadmaps. Leverage capability models for vendor functionality and feature mapping. Influence the modularity and granularity of SOA services or Microservices using capabilities as the driver.